A “Class of 1965”inductee, popular Paul Larivee is a second all-time in points (539), goals (217) and assists (322) and third all-time in games (570) in Reds’ history. Considered mild-mannered, he nevertheless collected 278 PIM over the 10-season span he skated with Providence from 1952 to 1962. 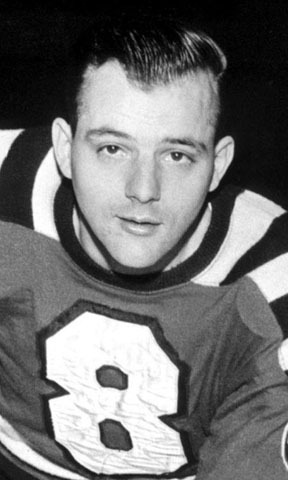 This slick puck-handling center played a vital role as a member of the Reds’ 1955 Calder Cup championship team.